Following the Napoleonic military campaign in Egypt (1798-1801), Europe rediscovered the ancient Egyptian civilization, and later expeditions deepened and amplified knowledge of the country's archaeological monuments, giving birth to a new science, Egyptology, which is still very active. In 1828, Charles X of France and Grand Duke Leopold II of Tuscany financed the first international scientific expecition to Egypt, the aim of which was to explore the historic monuments of the country. Unlike the Napoleonic Commission, the Franco-Tuscan expedition was able to take advantage of the understanding of hieroglyphic script and therefore examine the antiquities more systematically. The leaders of the expedition were Jean-Francois Champollion, the man who deciphered the hieroglyphs using the Rosetta Stone, and Ippolito Rosellini. 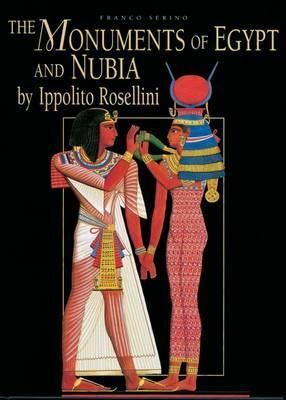 Born in Pisa in 1800, Rosellini was noted for his study of the monuments, deciphering of the hieroglyphs and, above all, for his contribution to science in the form of his illustrated work, "The Monuments of Egypt and Nubia".